UC San Diego Center for Student Involvement is using a $65,000 grant to establish a Dialogue Ambassador Program. 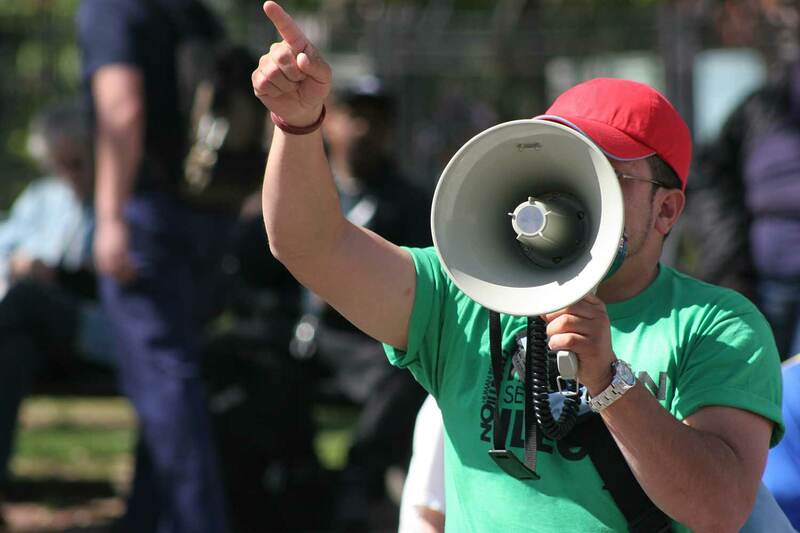 Now, UC San Diego students will have more opportunities to participate in civil discourse, learn the perspective of others and develop empathy through sharing stories thanks to a $65,000 grant from the National Conflict Resolution Center and the Einhorn Family Foundation to establish a Dialogue Ambassador Program. The UC San Diego Center for Student Involvement is using the grant to create a campuswide program that fosters supportive space for people to talk across differences. The Office of Equity, Diversity and Inclusion provided an additional $10,000 to support the campus dialogues. 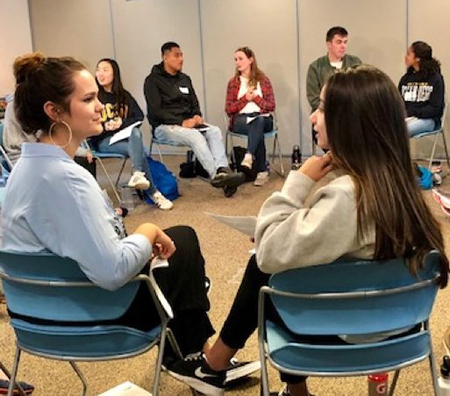 “It is becoming increasingly important that we actively equip our students with the skills to engage in conversations around difficult topics with the ability to listen to each other with respect, develop empathy and appropriately manage their emotions,” said Patricia Mahaffey, assistant vice chancellor ­– Student Life at UC San Diego. A team of 12 undergraduate Dialogue Ambassadors were hired and trained to co-facilitate community building dialogue circles on- and off-campus around a variety of topics and themes, including free speech, environmental justice, youth advocacy and sustainability. 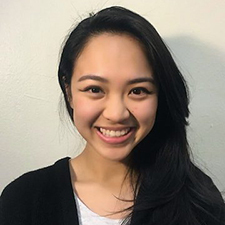 “It’s not often that there is a space for a diverse group of students to come together and feel safe about discussing topics that may be uncomfortable or too personal to share,” added Dialogue Ambassador Vivian Thai, a junior transfer student majoring in cognitive science with a specialization in neuroscience. Thai is excited about the prospect of having students come together to discuss controversial diversity and social justice topics. 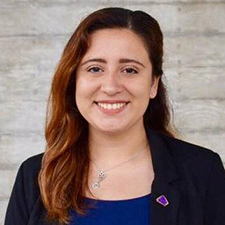 “I thought it would be a great idea if I could help mediate conversations about difficult topics and help build a more inclusive and understanding community,” she said. In addition to helping their fellow students, Dialogue Ambassadors can develop leadership skills such as facilitation/co-facilitation and training, interpersonal communication, content delivery as well as working in teams and independently. They also learn program assessment, conflict resolution, mediation, active listening, empathy building, increased ability to educate on perspective taking, and emotional regulation. The first major on-campus dialogue circle will take place Thursday, March 1 at 5 p.m. in the Governance Chambers, Level 4 in Price Center East—two days after Erwin Chemerinsky, Dean of Berkeley Law and one of the country’s preeminent constitutional scholars, speaks at UC San Diego. Students are invited to join the facilitated conversation about free speech based on Chemerinsky’s presentation. Erwin Chemerinsky’s talk, entitled “Free Speech and the University: Historical Roots and Current Challenges,” will take place Feb. 27 at 7 p.m. in the UC San Diego Price Center Theater. His discussion of the intersection of the First Amendment and higher education will be of interest to students, faculty, staff and campus leaders. A book signing will immediately follow the event. This free talk is hosted by Student Affairs, the Office for the Prevention of Harassment and Discrimination, and the UC San Diego Law and Society Program.